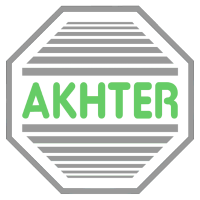 Akhter’s Professional Services team work with clients to ensure they can plan, implement and benefit from the provision of IT solutions and services that will reduce cost of ownership, manage and mitigate risk and enhance business operations. The project management team ensures a smooth and timely deployment in keeping with your business plans and objectives. An initial consultation with the team will provide you with the opportunity to discuss short- term and long-term goals and help to understand what's working well, where there are risks, opportunities for improvement and where savings can be made.